A STUNNING AND RARE SERVICE PLATE FROM THE USS WILLIAMSBURG CHINA IS NOW PART OF THE RALEIGH DeGEER AMYX COLLECTION. Indeed he did. Those historic figures included Admiral Richard Byrd and Winston Churchill as well as President Franklin D. Roosevelt. It was FDR who figures in the provenance of this service plate. Capt. 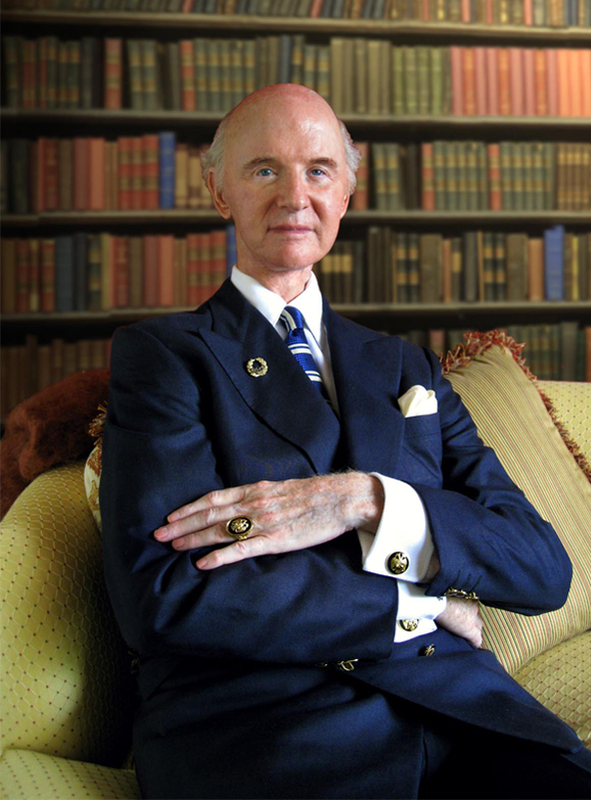 Kevers served in the White House as Assistant Naval Aide to President Roosevelt and was later named Commanding Officer of the first Presidential yacht, Potomac. The Potomac was often referred to as the “Floating White House.” When it was replaced by the USS Williamsburg, Capt. Kevers continued as CO.
CAPTAIN JACK KEVERS AT THE HELM WITH F.D.R AS ONE OF HIS PASSENGERS. Why is this plate so rare? It comes from a china service that was ordered from Lenox in 1944 for use on the USS Williamsburg. The yacht was considered a “vacation ship” to travel between Washington, DC and Florida. It included a formal dining room because passengers sometimes included important dignitaries such as Churchill. The china for this dining room had to be much finer than the everyday dishes used by the crew. THE PRESIDENTIAL YACHT - THE USS WILLIAMSBURG - SERVED AS THE HOME FOR THIS RARE CHINA COLLECTION UNTIL THE YACHT WAS DECOMMISSIONED AND ALL CHINA PIECES WERE MOVED TO CAMP DAVID. For obvious reasons, the formal dining room aboard the yacht was far smaller than the formal dining room at the White House, capable of seating only about two dozen diners. It is not known exactly how many pieces were in the order, though only a small number of place settings and service pieces would have been needed. By contrast, FDR’s official White House China consisted of 220 pieces. 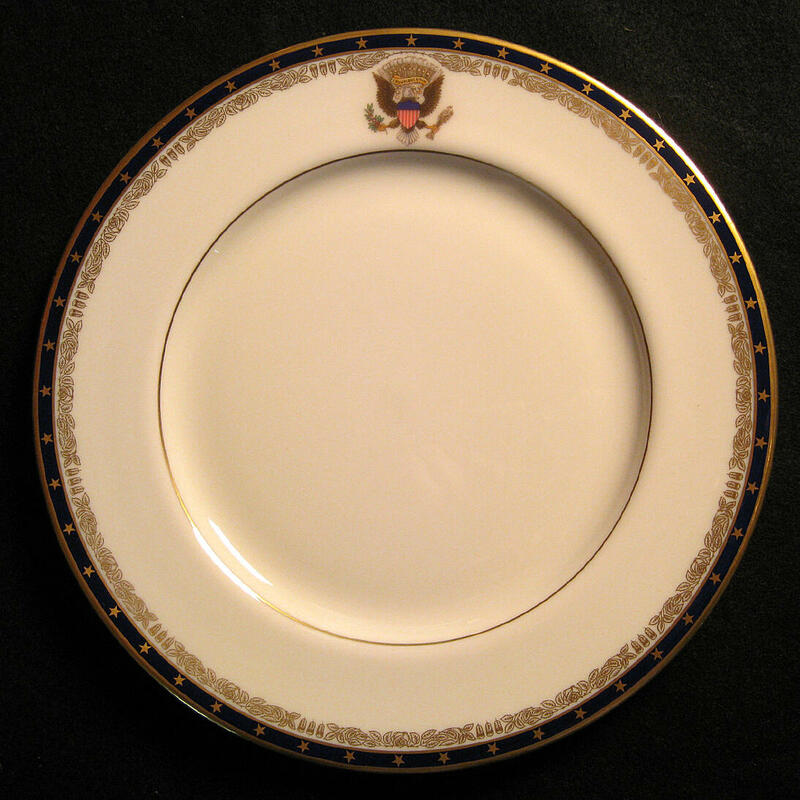 LENOX PRODUCED THIS TIMELESS DESIGN FOR THE FRANKLIN AND ELENOR ROOSEVELT OFFICIAL WHITE HOUSE CHINA. THIS ELEGANT DINNER PLATE DISPLAYS THE HISTORIC ROOSEVELT FAMILY COAT OF ARMS - PART OF THE RALEIGH DeGEER AMYX COLLECTION. 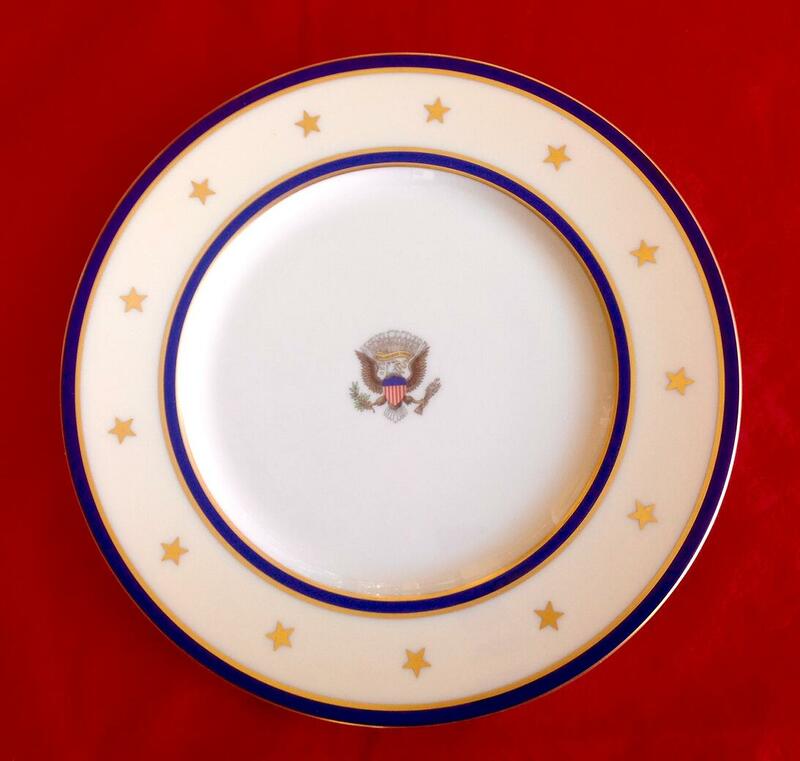 The Williamsburg plates were manufactured by Lenox and represent the same high-quality china as the White House China made for FDR and Truman. The service plates were by far the most beautiful pieces among this set – not unusual because it is these plates that are pre-set to visually welcome dinner guests to the table. 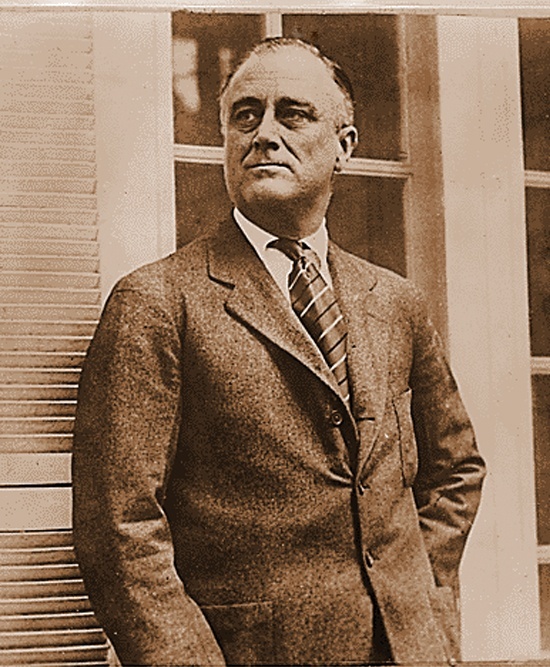 Franklin Roosevelt died on April 12, 1945, without ever having a chance to enjoy his new china or even to see the final product. 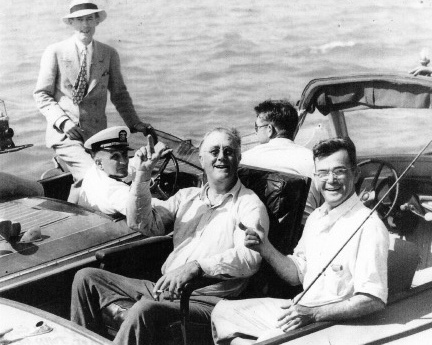 However, President Truman used the china onboard the yacht, the only president to do so. 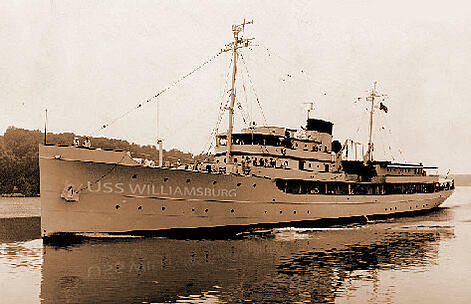 Later, when President Eisenhower decommissioned the USS Williamsburg, the china service was moved to Camp David. It remained in use there until President Ronald and Nancy Reagan “retired” the service in lieu of something new. For Raleigh DeGeer Amyx, acquiring this stunning piece is an exception in his lifetime of collecting important Presidential memorabilia. Normally, he notes, he isn’t interested in china from the yachts or from Air Force One, because these dishes are plentiful and, therefore, not particularly valuable to top-end collectors.